Simon Williams Comic Artist: The Avengers trailer... AVENGERS ASSEMBLE!! 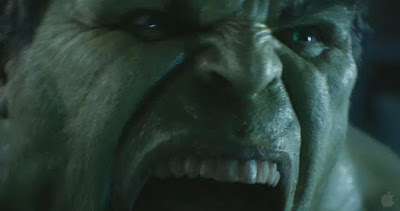 The Avengers trailer... AVENGERS ASSEMBLE!! At last... here's the trailer for Marvel's upcoming Avengers movie! Needless to say, it looks awesome... nay, not just awesome... INCREDIBLE (yes, check out how cool the Hulk looks!!!)!! The Avengers will be hitting the big screen next year in true Marvel style, directed by Joss Whedon and starring Robert Downey Jr., Chris Evans, Mark Ruffalo, Chris Hemsworth, Scarlett Johansson, Jeremy Renner and Samuel L. Jackson.